An increasing number of Nigerians constantly seek to study abroad either to advance their career or fulfill their dreams. But the inabilities to gain admission, visa denial, unreliable consultants etc. remain stumbling blocks which derails their aspiration. 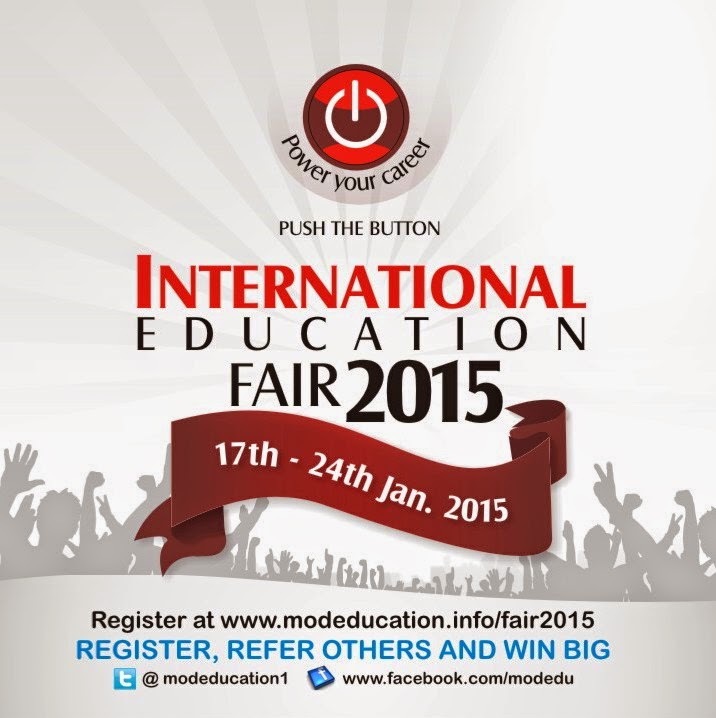 This is exactly why you should attend the 2015 International Education Fair, a life-changing opportunity to meet delegates from top universities from the UK, USA, CANADA, AUSTRALIA and NIGERIA. It is the biggest International Education Fair of the year taking place in 5 Major Cities in Nigeria where you can get ON-THE-SPOT ADMISSION, talk with experienced education counselors, visa counseling, scholarships, affordable study options and much more all for FREE. You also stand a chance to win an Iphone 6, Blackberry Z3 or Infinix Zero when you refer a friend after registering for the event. All you need to do is register and receive your unique ID in your email which you can share on Facebook, Twitter, BB etc with your friends and the 3 highest referrers win. We also have weekly gifts for those who simply register. Venue: Constantial Hotel, Airport Road, Benin.